The Thai government has vowed to wipe out human rights abuses within its seafood and fisheries industry and a robust campaign is already showing results. ‘It’s a national agenda, and the Thai prime minister has stressed that he has zero tolerance on this issue,’ Thai Foreign Ministry spokesman Sek Wannamethee told reporters at a briefing in Bangkok. Thai government awaiting crucial EU decision on fisheries export market. The Thai government is awaiting a crucial decision from the EU which could spell the fate of $1 billion exports to the EU market. 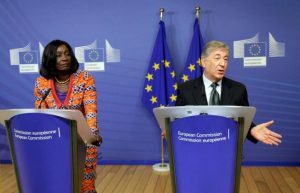 Following a visit at the end of January by EU officials to see the progress of the Thai government’s efforts to combat human trafficking and human rights abuses within the industry, it is unclear which way it will go but the consensus is that the EU will use its leverage to urge greater efforts and may issue a new deadline. In April 2015 the EU issued Thailand with a ‘Red Card’ warning on abuses in the fisheries industry. 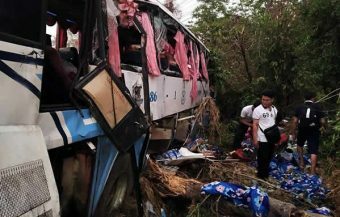 Despite extensive effort by the Thai government to make progress on the issue, a series of media reports at the end of 2015 threw Thailand back into the media spotlight in both Europe and the US. Reports by the Associated Press, the UK Guardian newspaper and the BBC painted Thailand in a very negative light to western audiences. 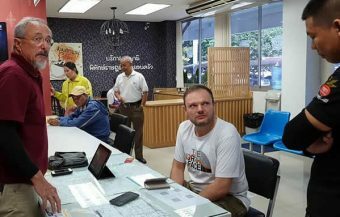 Since then there have been calls from politicians and activist in both the EU and the US for trade with Thailand on fisheries and seafood products to be blocked. For its part the Thai government has made its case strongly that the military junta came to power in Thailand to correct such abuses as human trafficking and corruption and has pointed to some impressive achievements in that period. Up to 8,000 Thai fishery vessels have been out of action and 70,000 workers with the the seafood and fisheries industry have been registered although there is some way to go. 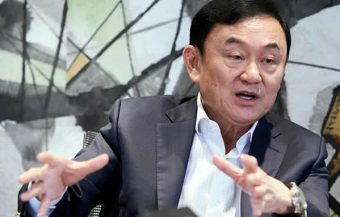 The Thai government under Prime Minister Prayuth Chan Ocha has highlighted the decisive measures it has taken and has pointed out that such an approach would have been difficult for a ‘civilian’ administration to undertake given the conflicts in Thai society that brought the regime to power in the first place. ‘During civilian administrations… sometimes we couldn’t enforce efficiently,’ said Vice Admiral Jumpol Lumpiganonn at a press briefing last week. The Thai government is highlighting its ability to deal with this threat to Thailand’s economy effectively since the European Union issued the warning to Thailand in 2015. The point resonates with claims by the junta that Thailand’s affairs needed to be cleaned up and that’s what it has been doing since it came to power in the 2014 coup. ‘I think the Thai government had made some fair points but there is a lot of pressure in political and media circles within the European Union and the United States that want to make an issue out of this,’ says James Morris a commentator in Bangkok. ‘The key point is whether they see their leverage as a way to push for greater progress or whether they act precipitously, I think it would be rather unfair to Thailand.’ Thai officials are certainly hoping that after all the efforts the Thai government has made that Thailand can avoid sanctions. 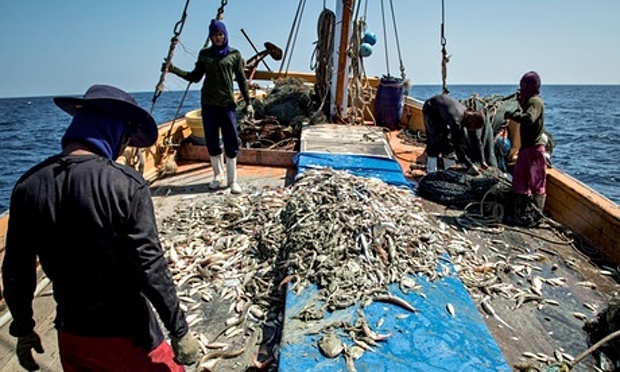 One of the measures that Thailand has pointed to is new Fisheries Law with 176 sections. The new laws comprises of five distinct initiatives: a licensing system, a traceability system, a vessel monitoring, vessel inspection and law enforcement. Up to the middle of January this year, Thai officials have recorded inspections on 474 vessels over 60 tons in Thai waters and 73 outside this area. Nearly 94% of the Thai fishing fleet which now includes approx 2,200 vessels have now been fitted with monitoring systems. Significantly 90 of the Thai fishing vessels were found to be in breach of the Thai legislation and will face prosecution. The key challenge of the Thai government is to combat the negative stereotype of Thailand that has emerged in the aftermath of the coup and which has been promoted by negative news reports on human trafficking, lack of press freedom and human rights violations. The Thai government has been attempting to this by pointing out the internal challenges that Thailand faces at this time and its efforts to clean up corruption and such abuses in the first place. 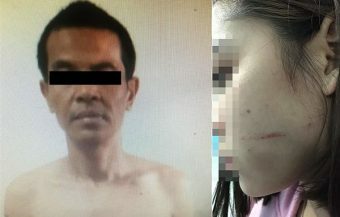 Indeed the Thai government has argued in its defence that many such abuses have come to light as a result of it own efforts to clean up this industry and other abuses in Thailand. The decisive and all out campaign that the Thai government has been waging to prevent sanctions on Thailand’s fisheries and seafood exports to the EU is also seen to be linked to calls from US based politician and activists for a similar ban there. the United States is Thailand’s largest seafood market followed by Japan and then the European Union. 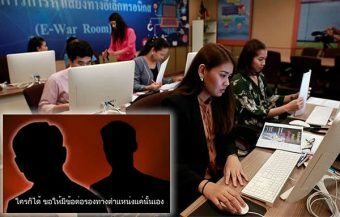 The Thai government has been on record to robustly defend its position in relation to human trafficking and to reject as misleading and unfair many of the details contained in an explosive AP News report in 2015. The report by the Associated Press in 2015 highlighted alleged abuses and conditions in Thailand’s lucrative and strategically important shrimp industry. Thailand is one of the world’s largest shrimp producers and the industry is very important to Thailand’s economy. The military junta which has been in power in Thailand since the May 2014 coup raised some valid points in countering the widespread reporting and republication of the AP News report which came at a time when Thailand’s faced scrutiny from American authorities and also from the EU. 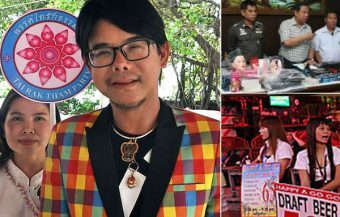 A spokesman for the junta Major General Sansern Kaewkamnerd pointed out that one of the key missions of the government that came to power in Thailand is to root out corruption and also to combat human trafficking. He also pointed out that the cost of production is one of the factors that makes Thailand’s shrimp industry so successful highlighting also the quality of the product that Thailand delivers to international markets. Speaking to the Bangkok Post, Thailand’s leading English speaking newspaper, Major General Sansern Kaewkamnerd highlighted that one basis for the AP News report had been sources which included Thai government officials who are working actively to combat abuse. Another senior official working with the Thai navy pointed out to reporters at a press conference at Government House that while photographs and reporting forming the basis of the news report on November 9th 2015 showed Thai officials carrying out their duties, the report itself wrongly suggested that the Thai authorities accepted slavery in Thai factories or illegal abuses which contravene Thai law. Vice Admiral Jumpol Lumikanont, deputy secretary-general of the Royal Thai navy particularly highlighted a photograph showing workers in a cell and explained to the media that this photograph had been taken while Thai officials were interviewing migrant workers in order to establish if some were working illegally. 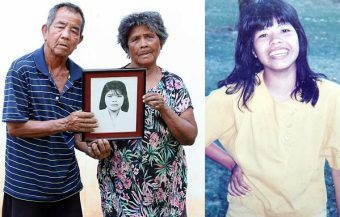 Indeed the basis for the AP News report was an operation being conducted by Thai authorities in which 125 factories were targeted in order to investigate labour abuse. ‘ I ask for fair treatment for officials who are working both on land and at sea, our work is integrated …please do not exaggerate part of a report and photographs in the wrong way,’ the Vice Admiral told the assembled media. 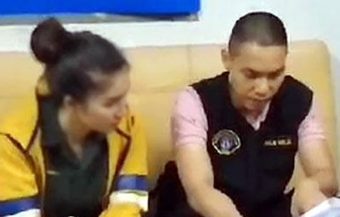 A Thai police officer also told the assembled reporters that any victims of human trafficking that were involved in the November 9th activities of the Thai authorities were rescued and the factory closed. 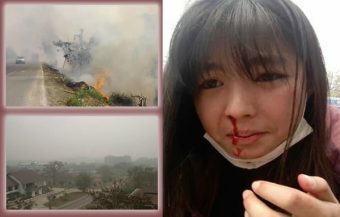 The police officer went on to point out that anyone found abusing the law was arrested and would face legal prosecution. Meanwhile the EU commission has warned the Thai government that it should ‘promptly’ deal with human rights abuses and modern day slavery if it wanted to avoid a ban by the EU on the import of seafood product from Thailand. It is estimated that the value of seafood exports from Thailand to Europe is as much as $5.5 billion and a ban by the EU would be a serious blow to Thailand’s economy and the junta’s efforts to improve economic conditions. The EU Fisheries commissioner Karmenu Vella also raised the question of illegal fishing in Thailand which is a key concern of the European Union but she also suggested that Europe cannot ignore allegations of slavery. ‘Regarding human rights slavery on board and so apart from the fisheries issues the commission also believes that Thailand should address promptly the human rights issues,’ he told a questioner from the Associated Press. There have been international media reports throughout 2015 relating to allegations that some Thai fishing vessels are using migrants being held in slave like conditions. While the European Union is very concerned about the sustainability of Thai fisheries activity and concerned about overfishing it is making it known that it cannot ignore allegations of slavery and migrants being held in bonded labour. Meanwhile in the United States a US congressman from Missouri Congressman Cleaver has written to the Labour Department as well as the Food and Drug Administration demanding an investigation into Thai imports into the United States. Congressman Cleaver is a Democrat who is concerned about the violation of Labour rights in Thailand. 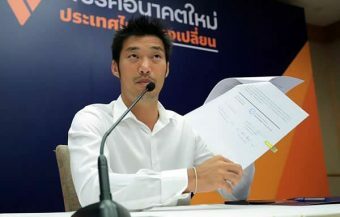 ‘I am deeply The congressman described shrimp peeling activities in Thailand as ‘one of the most abhorrent slavery scheme of the 21st century.’ A grocery organisation in the United States in a report was also highly critical of the Thai shrimp industry and accused Mr John Sackton in a report for the Progressive Grocer said that audits and inspections of shrimp peeling facilities were not sufficient in the face of corruption. Meanwhile Major General Sansern who is a spokesman for the Thai Prime Minister’s office vehemently denied such claims and described the reporting by the Associated Press as ‘extremely irresponsible’. 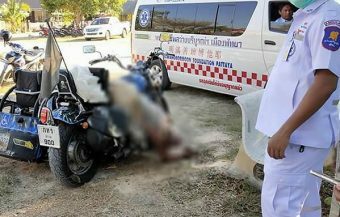 Major General Sansern warned that such reports could cause misunderstandings. 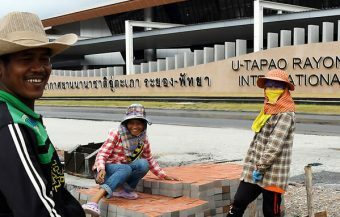 The spokesman pointed out that the reports gave the wrong impression that Thailand uses slave labour on an extensive basis and could damage the image of Thai products on the international stage. The rejection by the Thai authorities of the Associated Press report was quite passionate and the spokespeople talking to reporters felt that Thailand had been very unfairly treated by the news wire and media throughout the world who carried the reports. ‘This is a one sided extremely irresponsible report. It has tarnished Thailand’s image even as the government is s seriously cracking down on illegal and slave workers especially in the seafood industry, we are determined to do so until this problem is solved.’ Major General Sansern explained. The spokesman also highlighted that Thailand has never sanctioned any form of slave labour and has worked assiduously to route out such practices. Major General Sansern highlighted the ongoing campaign by the junta to restrict and crackdown on illegal workers in Thailand in the last six months. Thai Police immigration officials have arrested thousands of illegal workers in Thailand and in 2016 are introducing a new black list system in order to discourage repeat offenders. The Major General pointed out that the barrage of media reports over the last year has portrayed Thailand falsely and in a negative light. This was particularly unfair as policy makers in Thailand have been moving to root out corruption and to reform the country’s immigration system. Meanwhile one of the world’s largest exporters of seafood products the Thai Union Group came forward with plans to make sure that the company does not use subcontractors or partners who are not treating workers fairly. At the press conference reporters in the aftermath of the Associated Press report Major General Sansern emphasised that Thailand’s Prime Minister Prayuth Chan Ocha had personally ordered strict action to be taken against all those who are found to be in breach of Thai law and regulations. He said that the government was determined to eliminate the problem. This appeared to be followed up by action as it emerged that the Thai military had deployed soldiers to back up the government’s campaign to fight human trafficking in the Thai fishing industry. 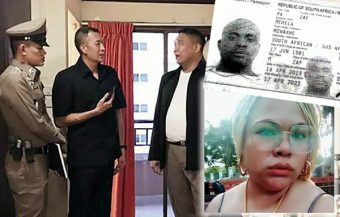 Another junta spokesman working with the Department of Special Investigations revealed that Thai forces had raided as shrimp plant at Samut Sakhon province which came to the government’s attention when a migrant from Myanmar reported abuses. The Myanmar migrant had managed to escape the facility and highlighted the working conditions to the authorities. 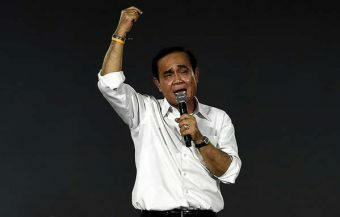 The Prime Minister additionally appointed a Deputy National Police Chief to lead a crackdown on alleged slave labour in the Thai fishing industry. The Associated Press story which flared up international attention on Thailand’s fishing and seafood industry concerned a shrimp peeling plant at Samut Sakhon province. The headline of the report highlighted that supermarkets all over the world were selling shrimp peeled by slaves in Thailand. The emotive report gave vivid accounts of workers being woken up in the early hours of the morning and beaten as well as working long hours. The report detailed how workers at the facility were held against their will and assigned numbers instead of personal names. 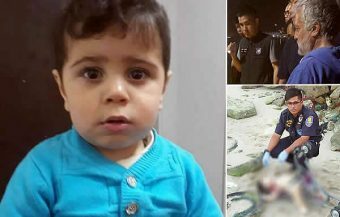 The report seemed to suggest that the factory in question had legal ownership of the workers in the factory which included families. 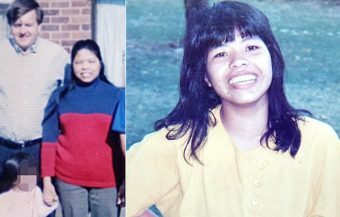 The report suggested that there were up to 100 Burmese migrants working there including children of a very young age. In one vivid description it described a little girl standing on a stool in order to reach up to the table to carry out her shrimp peeling duties. Shockingly the report suggested that many of the workers had been there months or even years receiving little or no pay. The report made explosive allegations that when such facilities were raided, the workers were prosecuted while owners faced no sanctions. It is also made allegations of corruption. The investigation by the Associated Press followed similar investigations into slavery on board Thai fisheries vessels which the news agency claims has resulted in as many as 2,000 fishermen being freed from slavery. In one instance the report claimed that a woman had been held at the factory for eight years. The AP investigations suggested that journalists had followed and filmed activities at the plant and tracked vehicles as part of their investigative process. They also reported revealed that their reports was based on interviews on over two dozen workers from two shrimp peeling factories. The Thai government and police authorities are in a race against time to insure or to save the Thai fishing and seafood industry which has been threatened and become the subject of worldwide media attention because of the explosive Associated Press report. The Thai Prime Minister has appointed Deputy Police Chief to lead intensive efforts to crack down on human rights and human trafficking abuses with the Thai fisheries industry. This comes in addition to an intensive campaign launched by the junta in 2015 to root illegal workers in factories and businesses all over Thailand. In October 2015 alone over 9,000 people were arrested who had been found to be living in Thailand. 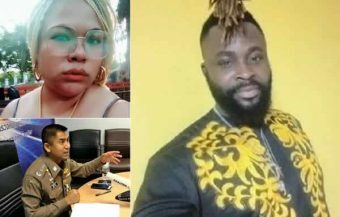 As a result of the Associated Press reports which has received extensive coverage, the Thai authorities have also conducted extensive press conferences highlighting that the very basis for the Associated Press report and others like it. 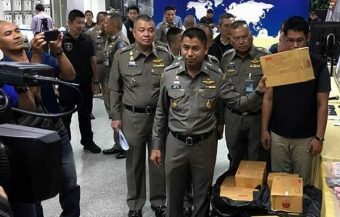 It also has been be noted that the authorities are being open with facts and information both about its crackdown on illegal activities and the new regime for Thai fisheries.